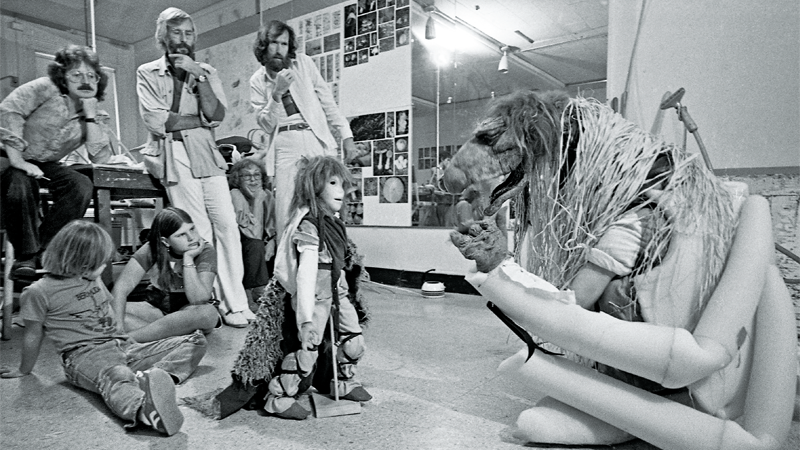 Jim Henson’s Dark Crystal is a classic to many—and with Netflix’s recent announcement that they’re bringing the world of Thra back to life, it’s interesting to look back at the groundbreaking work that went into the 1982 movie. A new book promises to do just that, and we’ve got an exclusive look inside. Published by Insight Editions, Dark Crystal: The Ultimate Visual History gathers tons of rare and unseen pieces of concept art as well as behind-the-scenes pictures from production on the film, 35 years after it was made. Dark Crystal: The Ultimate Visual History is set to release this September.